NHC: October 9, 2016 – Rogue Friday Blows Up! 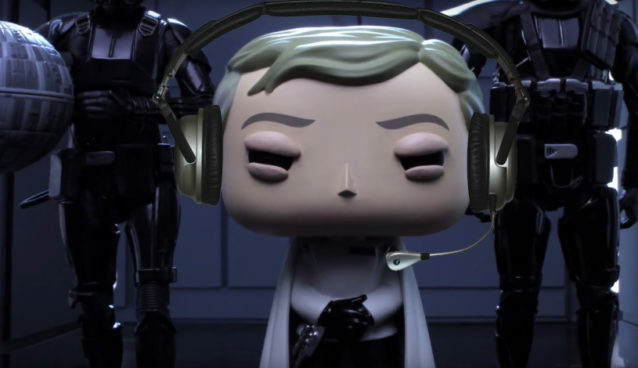 “Rogue Friday” marked the official release of the Rogue One toy line, and The Nerfherder Council was live to cover it all – except the Facebook Live video had no sound and the audio was unusable due to rain and wind noise. Oops. So, back in the warm, quiet confines of Echo Base, we recount our experiences at Toys R Us on that fateful night. Also, we delve into Disney storytelling in the George Lucas era of the Star Wars timeline: what it means for the saga, how it might differ from the style we’re used to, and what might become of all of these previously unknown characters.